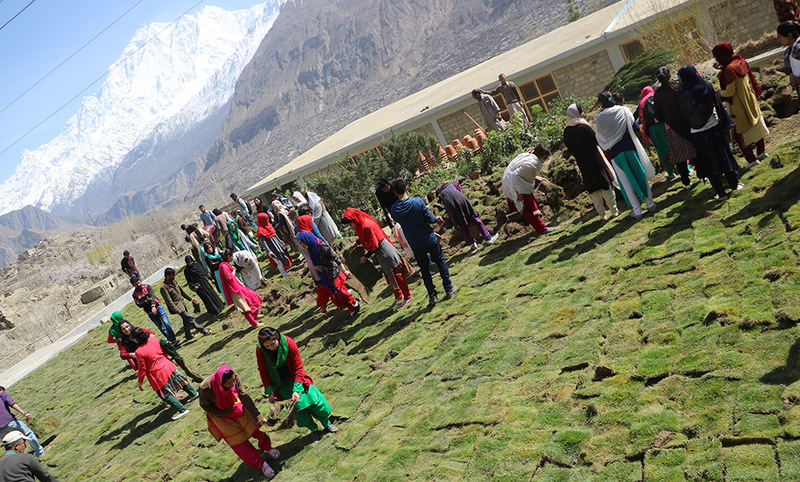 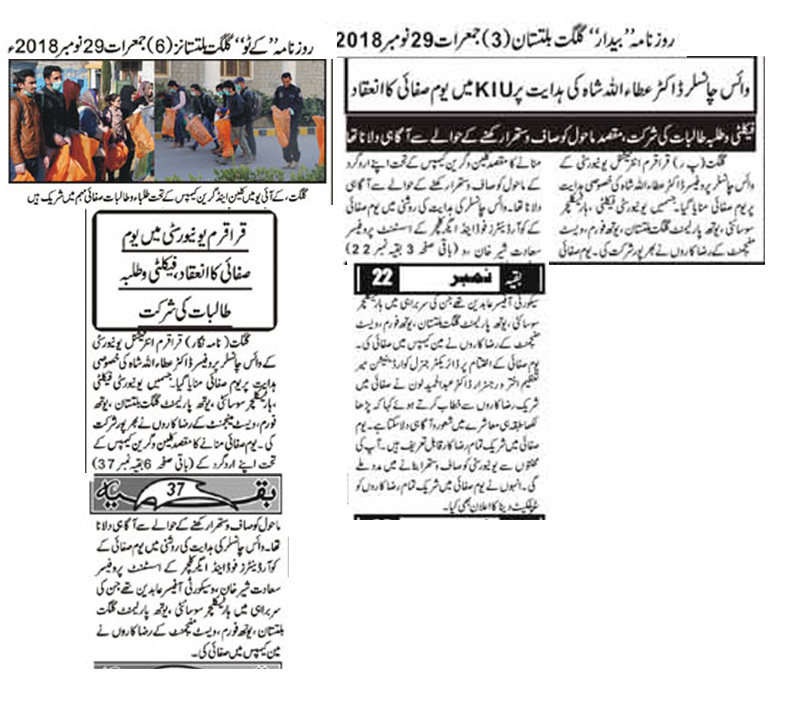 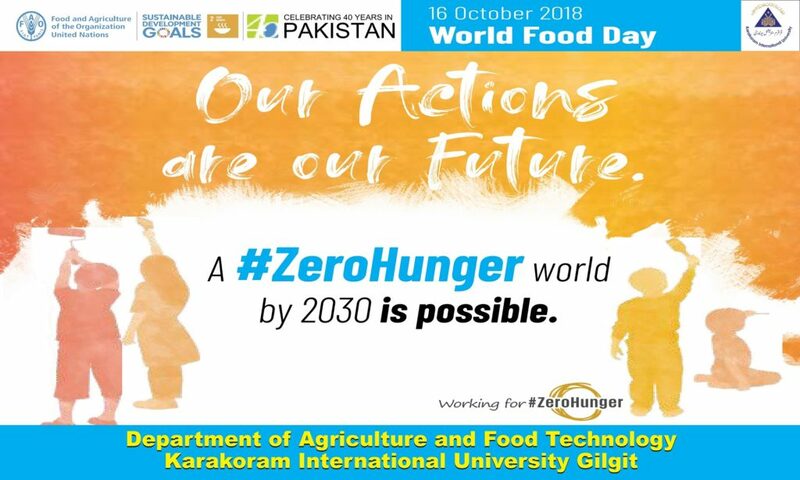 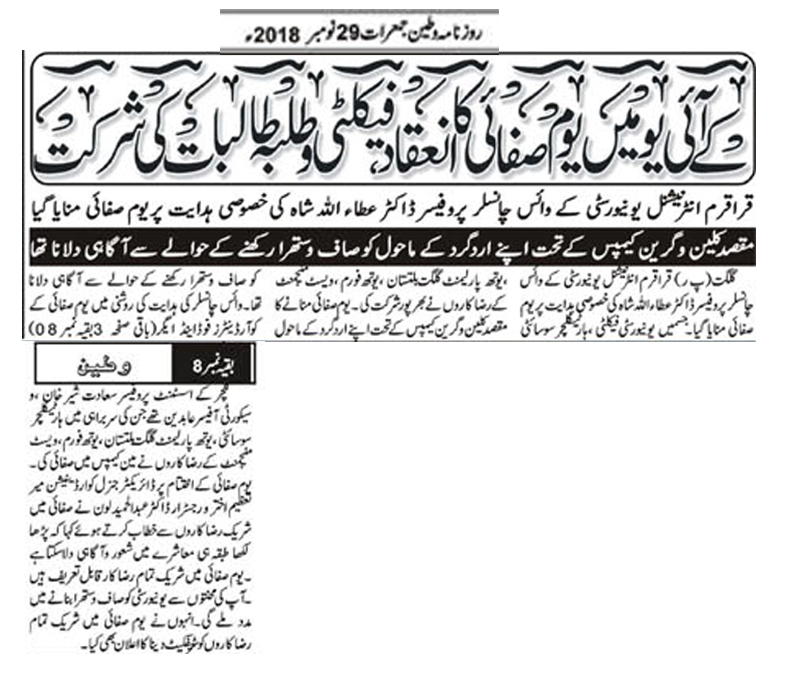 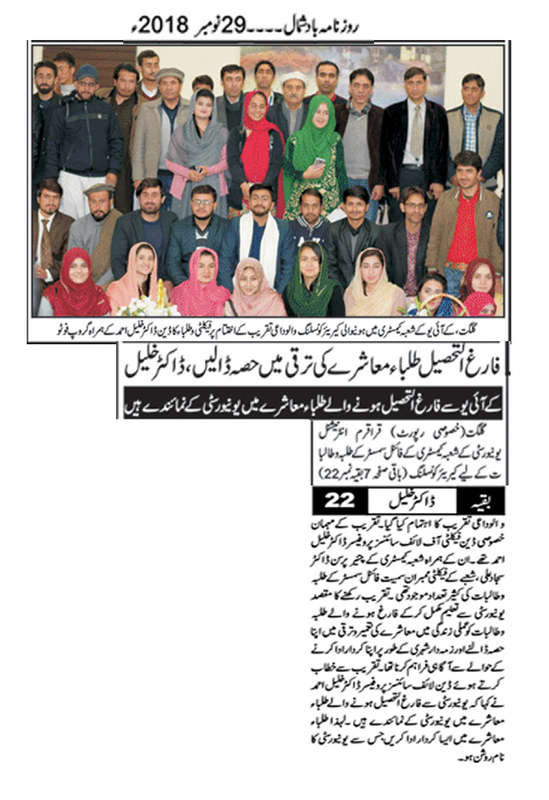 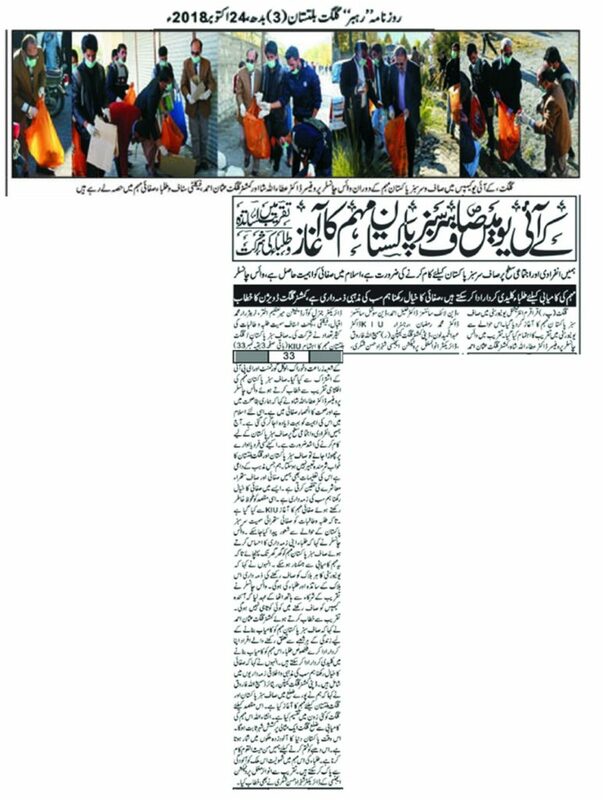 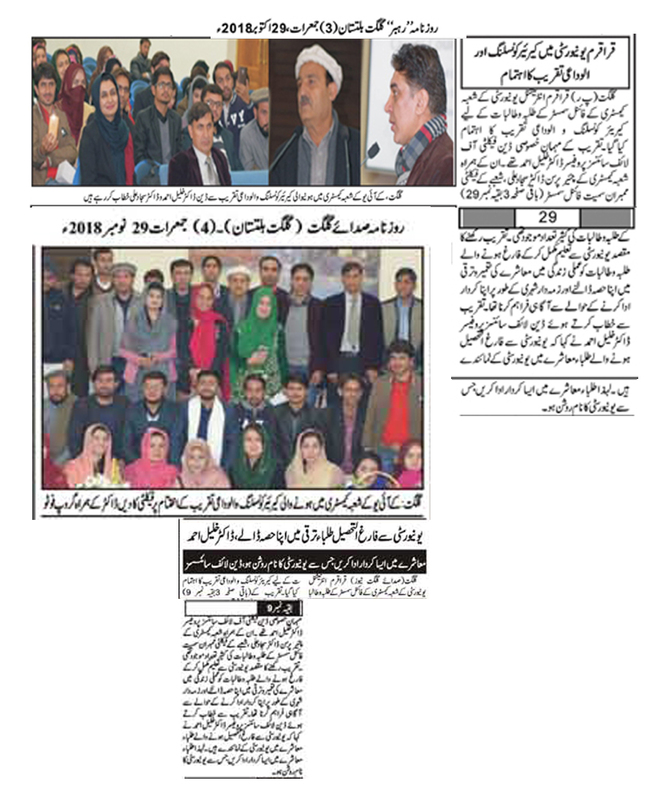 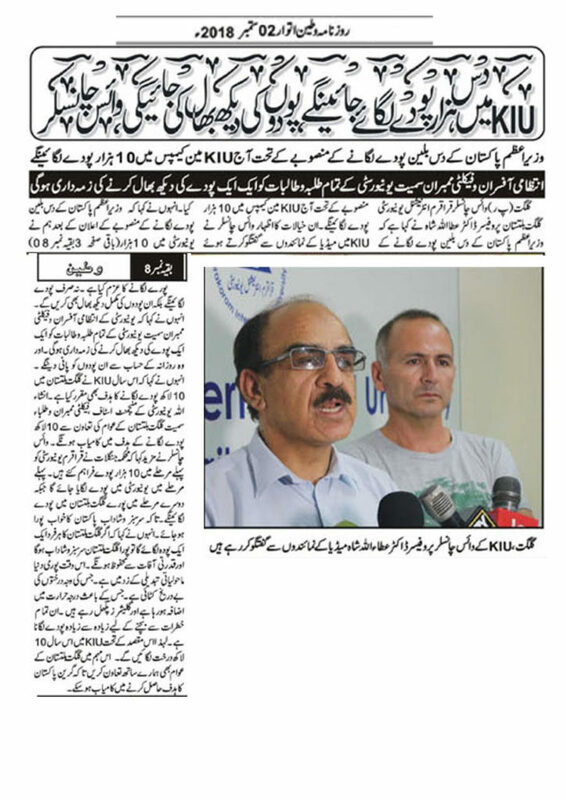 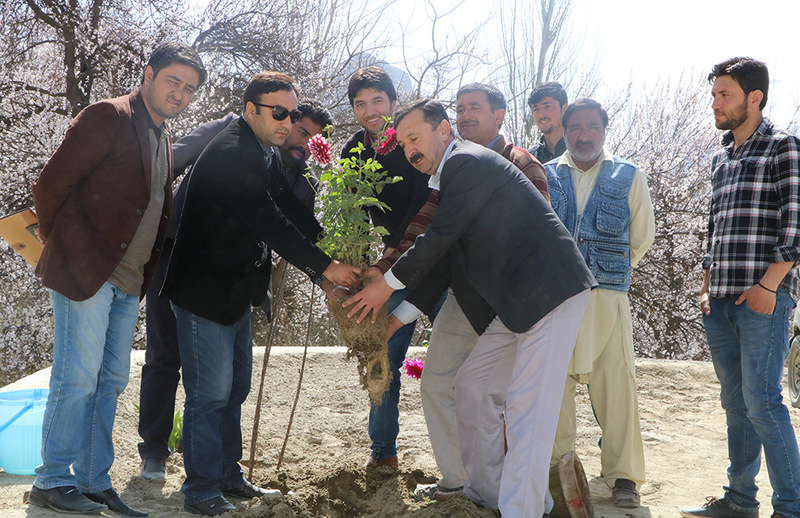 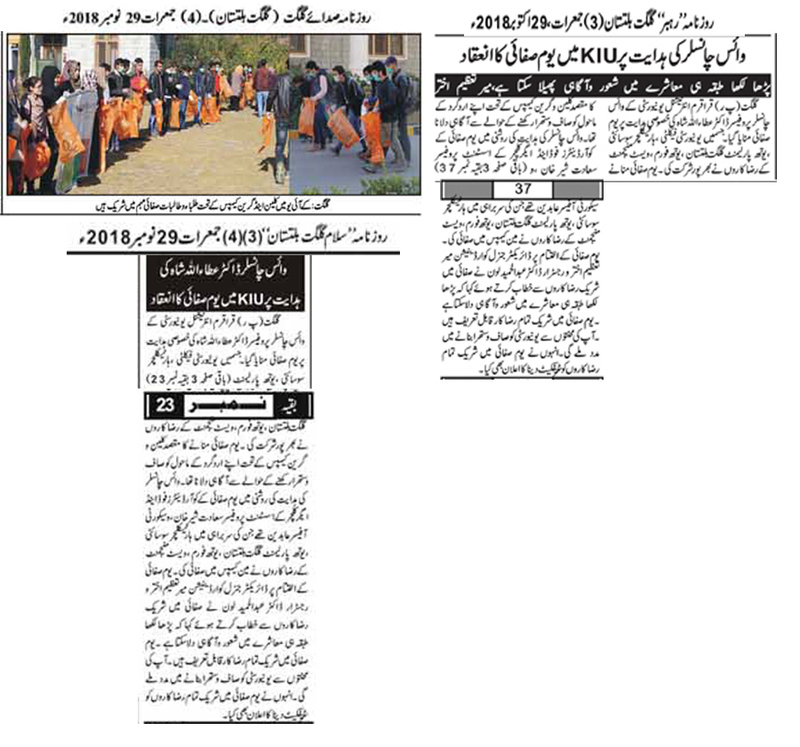 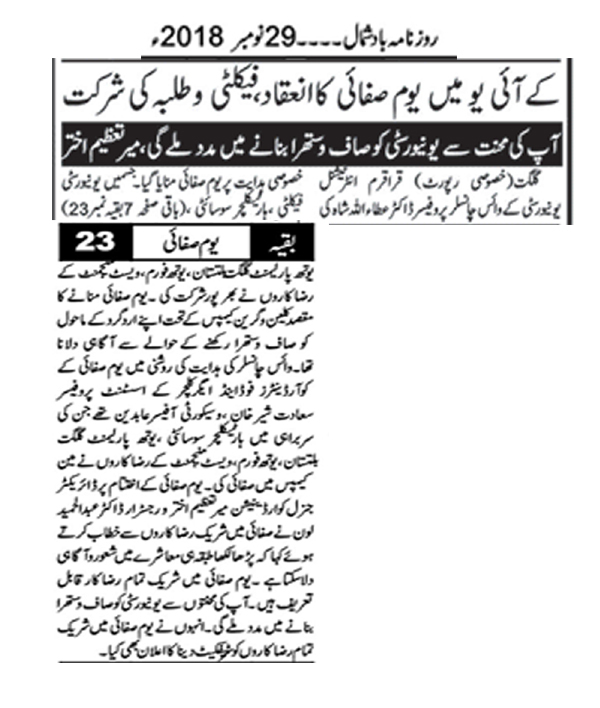 Karakorum International University has successfully celebrated the clean and green Pakistan movement on 23rd October 2018 in collaboration with Local Government, Municipal Corporation and Gilgit Baltistan Environmental Protection Agency. 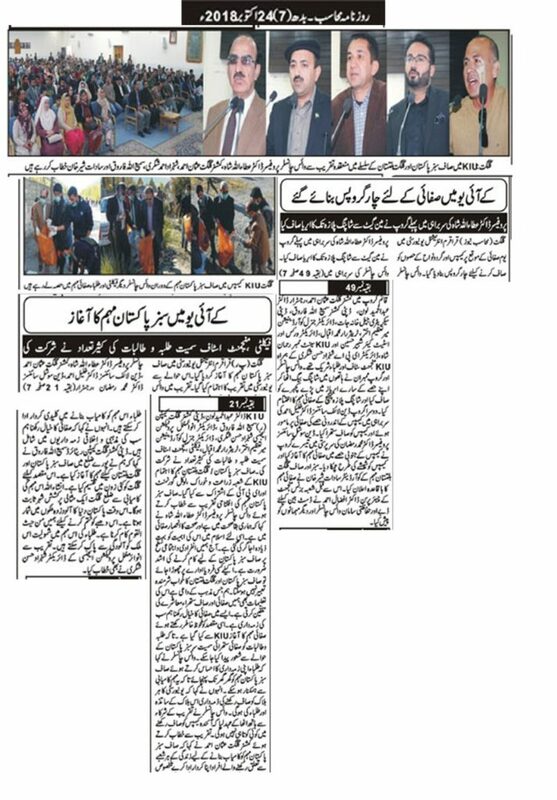 All the students, Faculty, staff in the leadership of Vice Chancellor cleaned the campus and University road. 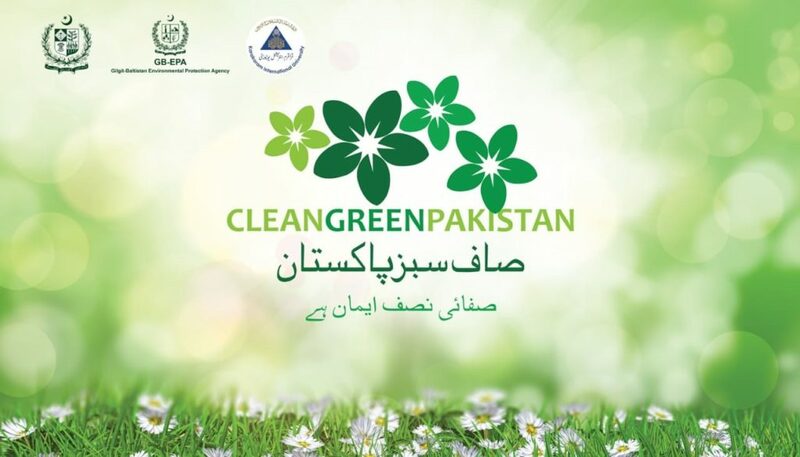 The university has decided to start a movement to clean the city in collaboration with the local government in near future. 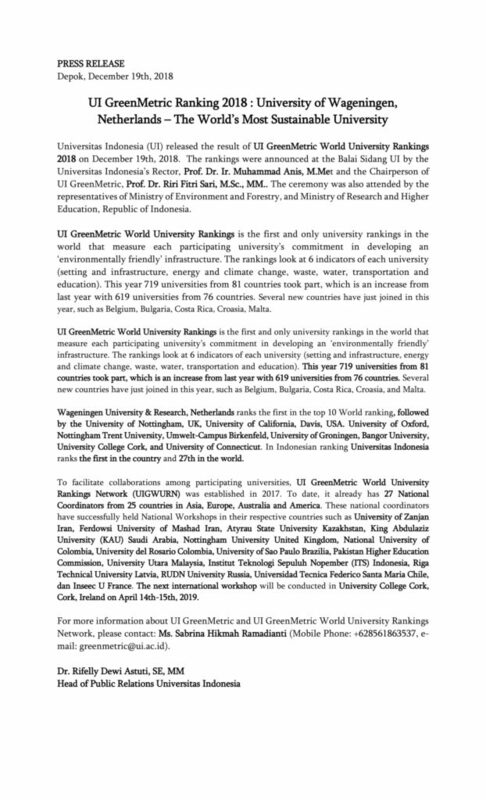 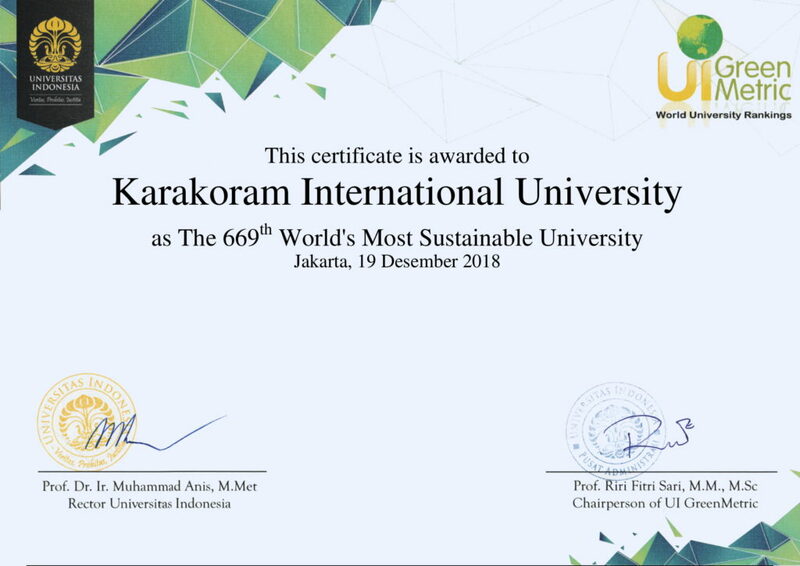 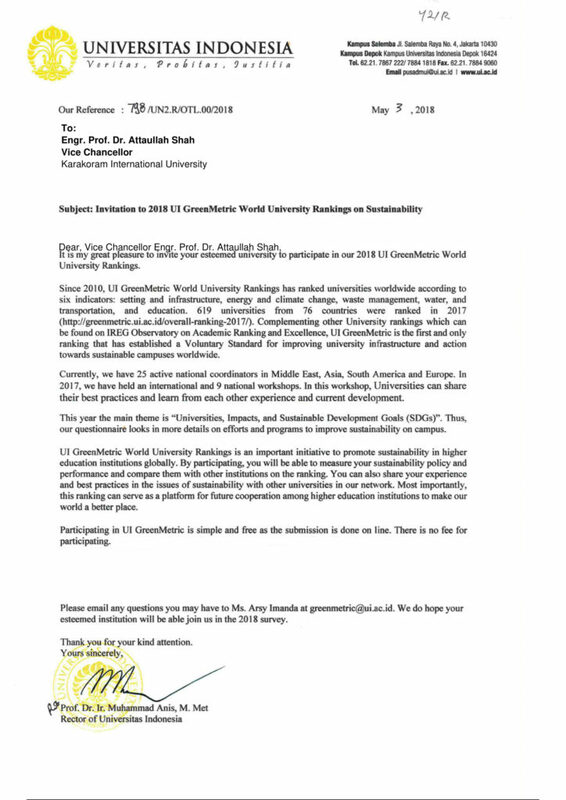 Participation of Karakoram International University in UI GreenMetric World Ranking 2018.